Want a work shirt that is crafted with over 100 years of knowledge and experience? Well, look no further because this Wrangler Riggs Men's Burgundy 3W760 BG Short Sleeve Henley Shirt provides you with all that and more! It withstands the test of time and performs i ... (see full details) (see specifications) #WRG3W760BG. Want a work shirt that is crafted with over 100 years of knowledge and experience? Well, look no further because this Wrangler Riggs Men's Burgundy 3W760 BG Short Sleeve Henley Shirt provides you with all that and more! It withstands the test of time and performs in even the roughest working conditions. Part of the Riggs Workwear collection, this men's top is constructed to be exceptionally durable. It is manufactured from 7-ounce 100% ringspun cotton jersey to deliver both soft breathability and durability. It's ideal for wear in all kinds of working conditions, either alone or with other tops. Triple-needle stitching adds durability and taped and vented side seams add quality and comfort. Short sleeves and a comfortable, relaxed fit add wearability. Count on this shirt to deliver freedom of movement, working with you rather than restricting your movement. A left chest pocket and utility loop offer convenience. For added comfort, the neck seam is taped and features a tagless label, avoiding the scratchy discomfort of label tags at the neck. A two-button placket delivers classic henley style. For durability plus the roomy comfort of a tee with 2-button henley styling, you won't go wrong with this Wrangler Riggs Men's Burgundy 3W760 BG Short Sleeve Henley Shirt. Order yours right here at Working Person's Store today! Henley shirts, long or short sleeve are hard to find that are both high quality AND very reasonable price. These shirts are color fast, don't shrink,and hold their shape and color. I also notice that Henley's are growing in popularity. I like the style of this shirt as you can wear it to work or even places that are more down to earth...maybe even working around the house. They are rugged and hold their shape even when washed many times. The color holds fast and when I need to pick out a shirt to wear at the last minute that will look acceptable almost anywhere this is what I choose. 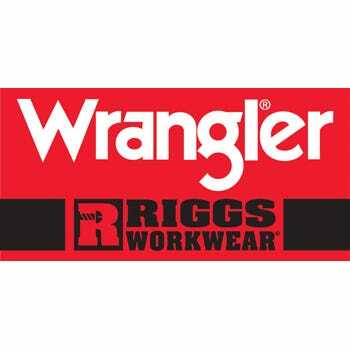 I picked one of these Wrangler shirts to see how it would hold up and now I know I can order them in so many different colors and the price is so much better than most places. This Henley is comfortable and washes up good. Hasn't faded either. How many shirts do we buy only to throw away at the end of the season because they have stretched out or faded so bad they look like a rag? These Wrangler shirts are great and will hold up to more than you can dish out. I was surprised that this shirt hasn't pilled, but it hasn't. Wrangler Riggs Shirts: Men's Burgundy 3W760 BG Short Sleeve Henley Shirt is being added to your cart.